* While every reasonable effort is made to ensure the accuracy of this information, we are not responsible for any errors or omissions contained on these pages. Please verify any information in question with Kendall Honda. The advertised price does not include license, $35 electronic filing fee for titling (custom plates do not apply), and $115 title and registration processing fee. ** Our multi-point inspection does not guarantee a recall free vehicle. For more information see http://www.nhtsa.gov * Although every reasonable effort has been made to ensure the accuracy of the information contained on this site, absolute accuracy cannot be guaranteed. This site, and all information and materials appearing on it, are presented to the user "as is" without warranty of any kind, either express or implied, including but not limited to the implied warranties of merchantability, fitness for a particular purpose, title or non-infringement. All vehicles are subject to prior sale. Price does not include applicable tax, title, and license. Not responsible for typographical errors. Check out this gently-used 2017 Honda Civic Hatchback we recently got in. You could spend more on fuel each month than on your vehicle payments, so why not consider one with exceptional fuel economy like this 2017 Honda Civic Hatchback. You could keep looking, but why? You've found the perfect vehicle right here. There are many vehicles on the market but if you are looking for a vehicle that will perform as good as it looks then this Honda Civic Hatchback Sport is the one! The Civic has topped best compact car lists for decades. With its consistent balance of quality, performance and practicality, it should come as no surprise. 2016's redesign further improved the car, with extensive standard equipment, a high-quality stylish interior and a new powertrain lineup. The Civic's quality and performance comes very accessible. Kendall Honda Acura has a wide selection of exceptional pre-owned vehicles to choose from, including this 2018 Honda Accord Sedan. Your buying risks are reduced thanks to a CARFAX BuyBack Guarantee. If you are looking for a vehicle with great styling, options and incredible fuel economy, look no further than this quality automobile. You can finally stop searching... You've found the one you've been looking for. There is no reason why you shouldn't buy this Honda Accord Sedan LX 1.5T. It is incomparable for the price and quality. Kendall Honda Acura is excited to offer this 2018 Honda CR-V. Drive home in your new pre-owned vehicle with the knowledge you're fully backed by the CARFAX Buyback Guarantee. As a compact SUV, this vehicle packs all the performance of a full-size into a package that easily navigates the urban terrain. This wonderfully fuel-efficient vehicle offers a supple ride, quick acceleration and superior styling without sacrificing MPGs. No matter the varying terrain or weather conditions, this all-wheel drive vehicle will help you reach your destination safely and securely in a well-appointed cabin with many features found on cars twice the price. Looking for a clean, well-cared for 2018 Honda CR-V? This is it. This 2018 Honda CR-V comes with a CARFAX Buyback Guarantee, which means you can buy with certainty. This Honda CR-V LX is an incredibly versatile vehicle that is a must have for any family. When it comes to high fuel economy, plenty of versatility and a great looks, this HondaCR-V LX cannot be beat. 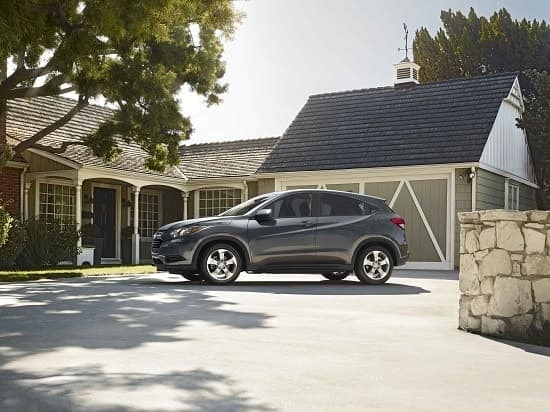 This Honda CR-V's superior fuel-efficiency is proof that not all vehicles are created equal. No matter the weather conditions or terrain, this Basque AWD Honda CR-V handles with an elegant confidence. Fine interior appointments complement this vehicle's unprecedented performance. Check out this gently-used 2018 Honda CR-V we recently got in. This vehicle is loaded with great features, plus it comes with the CARFAX BuyBack Guarantee. Perfect for the on-the-go family, this Honda CR-V LX is an SUV everyone will love. With exceptional mileage, options and power, you'll insist on driving it on all your outings. The Honda CR-V LX speaks volumes about it's driver, uncompromising individuality, passion for driving, and standards far above the ordinary. It's exceptional fuel-efficiency is a clear sign that not all vehicles are created with the same standards. Enjoy the grip and control of AWD performance in this nicely equipped Honda CR-V.
Kendall Honda Acura has a wide selection of exceptional pre-owned vehicles to choose from, including this 2018 Honda Accord Sedan. This vehicle is loaded with great features, plus it comes with the CARFAX BuyBack Guarantee. This is a Certified Pre-owned vehicle, so you can feel rest assured that it has been meticulously inspected from top to bottom. Stylish and fuel efficient. It's the perfect vehicle for keeping your fuel costs down and your driving enjoying up. This vehicle won't last long, take it home today. This 2017 Honda CR-V EX-L is proudly offered by Kendall Honda Acura Your buying risks are reduced thanks to a CARFAX BuyBack Guarantee. Off-road or on the street, this Honda CR-V EX-L handles with ease. The 2017 Honda offers compelling fuel-efficiency along with great value. You will no longer feel the need to repeatedly fill up this Honda CR-V EX-L's gas tank, in part because of it's superb EPA rating. Few vehicles can match the safety and comfort of this AWD Honda CR-V EX-L. With enhanced performance, refined interior and exceptional fuel efficiency, this AWD Honda is in a class of its own. This vehicle has extremely low mileage on the odometer, so while it's pre-owned, it's practically new. Kendall Honda Acura is excited to offer this 2018 Honda Pilot. CARFAX BuyBack Guarantee is reassurance that any major issues with this vehicle will show on CARFAX report. Gone are the days of SUVs being the size of a tank and handling like one. This Honda Pilot is a perfect example of how SUVs have evolved into vehicles that are as refined as they are rugged. This AWD-equipped vehicle will handle beautifully on any terrain and in any weather condition your may find yourself in. The benefits of driving an all wheel drive vehicle, such as this Honda Pilot EX, include superior acceleration, improved steering, and increased traction and stability. Driven by many, but adored by more, the Honda Pilot EX is a perfect addition to any home. Kendall Honda Acura has a wide selection of exceptional pre-owned vehicles to choose from, including this 2018 Honda Pilot. This 2018 Honda Pilot comes with a CARFAX Buyback Guarantee, which means you can buy with certainty. Want more room? Want more style? This Honda Pilot is the vehicle for you. Enjoy the grip and control of AWD performance in this nicely equipped Honda Pilot. There are many vehicles on the market but if you are looking for a vehicle that will perform as good as it looks then this Honda Pilot EX is the one! Kendall Honda Acura has a wide selection of exceptional pre-owned vehicles to choose from, including this 2017 Honda Pilot. CARFAX BuyBack Guarantee is reassurance that any major issues with this vehicle will show on CARFAX report. The Honda Pilot is the benchmark all other SUVs strive to meet. With exceptional power, towing and handling, this SUV can handle anything thrown at it. When driving an all wheel drive vehicle, such as this Honda Pilot EX-L, superior acceleration, traction, and control come standard. Gently driven doesn't even begin to explain how lovingly cared for this ultra-low mileage vehicle has been. * While every reasonable effort is made to ensure the accuracy of this information, we are not responsible for any errors or omissions contained on these pages. Please verify any information in question with Kendall Honda. The advertised price does not include license, $35 electronic filing fee for titling (custom plates do not apply), and $115 title and registration processing fee. Are you looking for affordable used cars that have been meticulously tested for quality? Then a certified pre-owned Honda car, truck, or SUV from Kendall Honda is just what you’ve been searching for. Your local Honda dealership serves the Springfield, Lebanon, and Florence areas with quality used car sales in Eugene. Our Certified Honda Program offers extensive limited warranty coverage, roadside assistance, and many other coverage essentials that you should expect from any certified pre-owned car program. What’s the difference between used cars and certified cars? People ask our Honda specialists about the difference between certified pre-owned Honda cars and used cars all the time. The answer is simple, really. Although we make sure all our used cars are of top quality before they’re put on our lot, certified cars take the extra step of getting examined by the manufacturer itself. Once it is cleared for certification, then–and only then–will the manufacturer grant that vehicle the title of “Certified.” This examination not only gives you a better assurance of quality, but gives you manufacturer-backed perks and warranties, as well. Are certified cars in Eugene worth it? In short, yes, certified cars in Eugene are most definitely worth it. With a Honda CPO car, truck, or SUV, you get all the benefits of owning a quality vehicle from your Eugene Honda dealership, in addition to an extensive pre-owned warranty from your Honda manufacturer. So, contact us online or come by Kendall Honda today to shop certified cars.